This is an old version of the emulator -- follow this link for a more recent version. Choose a ROM image (in TIB, 9XU, or plain ROM format) to load the new ROM and reset the calculator. Choose a 9XY or 9XZ file to upload a new variable to the calculator (you must be on the home screen to do this). Note that while the pre-loaded programs are quite compatible with this emulator, compability with other programs is limited in this version. 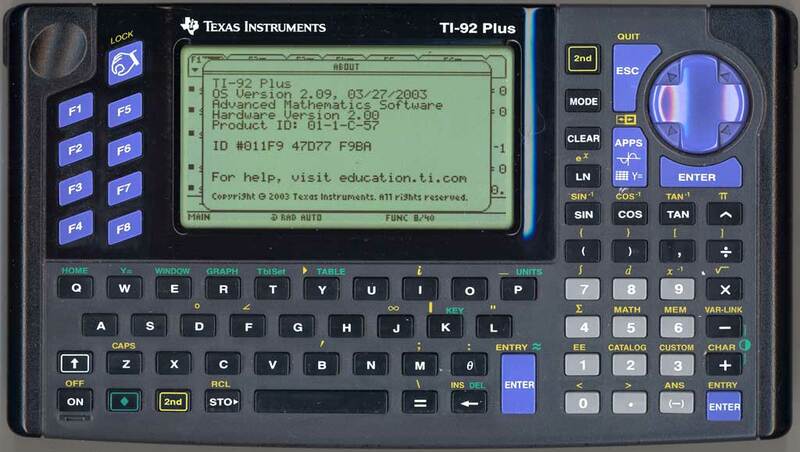 By default, the emulated calculator uses the open-source PedroM instead of the official TI system software. The PedroM source along with conversion scripts is available here. In addition to clicking on the emulator itself, most keys are also mapped to computer keyboards. Use the backslash (\) key to activate the LOCK (hand) key on the emulated calculator, use backquote (`) for 2nd, use F10 for SHIFT, and use F9 for F1. Use the numeric keypad for the + - * / symbols but the regular number keys to enter numbers. The - on the numeric keypad is the plain - key; use the semicolon (;) key for the (-) key. All other keys either have the obvious mapping or not mapped to any computer key. This emulator does not have support transferring files but is pre-loaded with a few of my games. To run them just type a game name (monster, mercury, platinum, phoenix, smiley) and press enter. If you encounter serious problems with this emulator, such as it erases 100% of the data on your hard disk, please report to me by e-mail to eeulplek@hotmail.com or on IRC. However, please note that this is an alpha version so minor problems (such as erasing only 51% of your data) are to be expected and thus are not worth reporting. Thanks to Patrick Pelissier for having written Pedrom -- this emulator would never have been written without his open source ROM available to include with it. Also thanks to Lionel Debroux for his many suggestions to improve this emulator -- but note that I haven't made use of all of them yet, so don't blame him if you find any bugs!